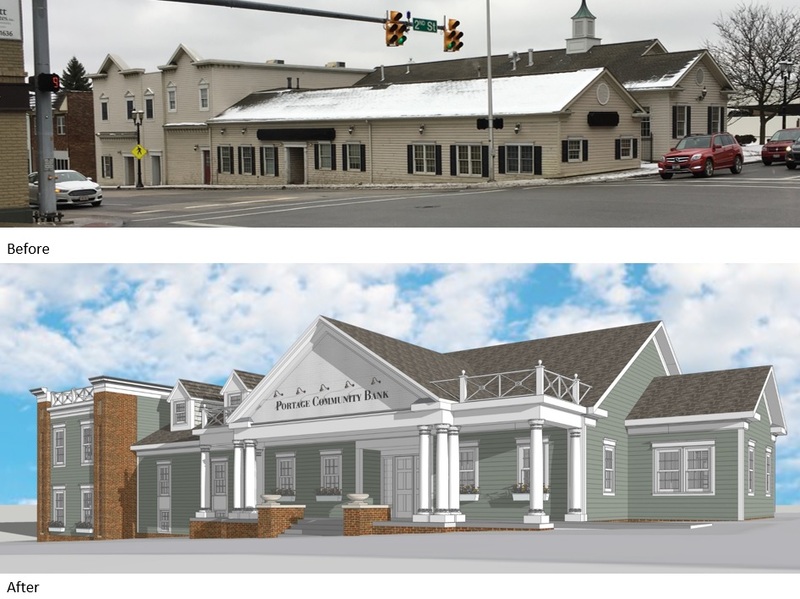 ARRC, Inc. is working on the restoration of the 14,000 square foot Westfield Bank building, purchased last November by Portage Community Bank. 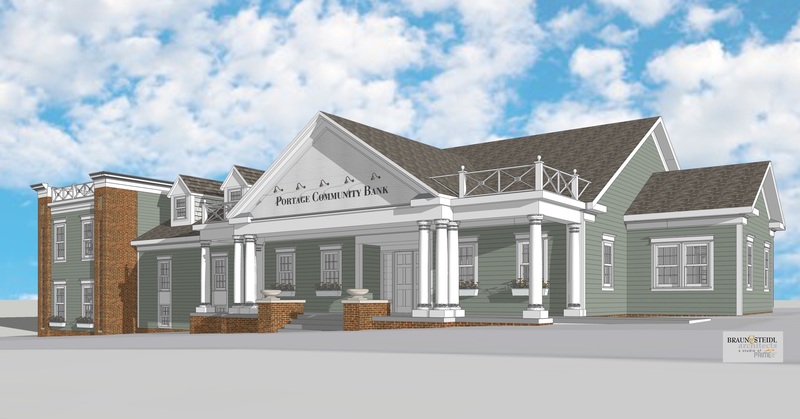 Located at Portage Trail & Second Street in Cuyahoga Falls, this will be the bank’s third location, and first in Summit County. The current structure is actually four connected buildings with a non-descript main entrance from a back parking lot. The plan is to demolish two of the buildings (approximately 11,000 square feet), and reposition the main entrance to Portage Trail, creating a more defined entry for customers and employees alike. The façade is being redesigned in a neo-Classical look that takes architectural cues from the nearby post office, while matching the historic buildings in the neighborhood. ARRC, Inc. is the construction manager and Braun & Steidl Architects of Prime AE Group, Inc. is the architect of record. Demolition is scheduled to begin April, 2019 and the grand opening of the restored bank is slated for fall, 2019.